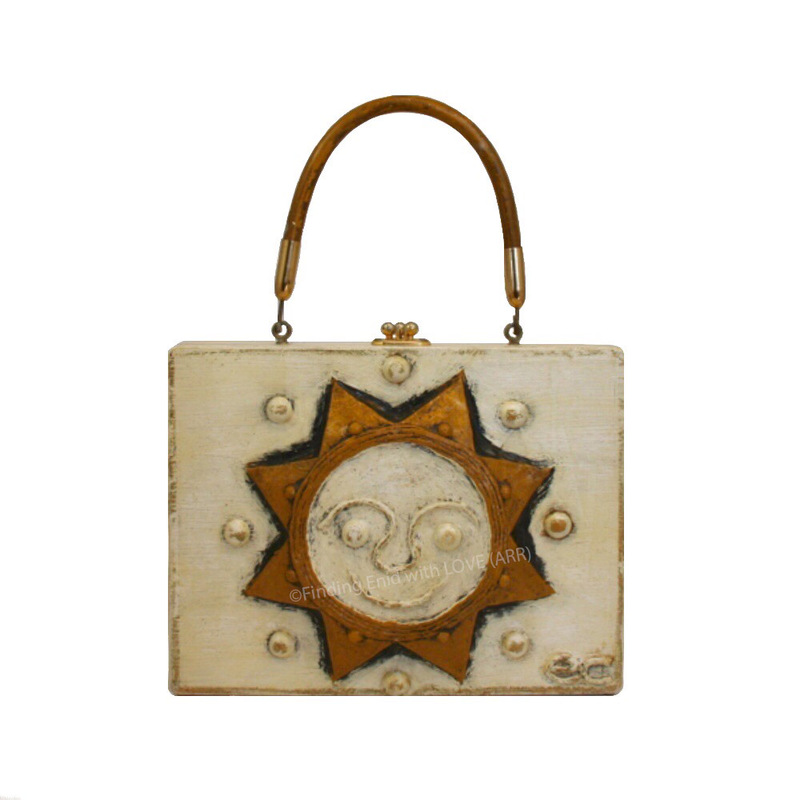 Box purse of light-toned wood finished in antiqued off-white and decorated with a papier mâché anthropomorphic sun. Face is also in off-white, with sun rays in golden brown. No title on purse itself.